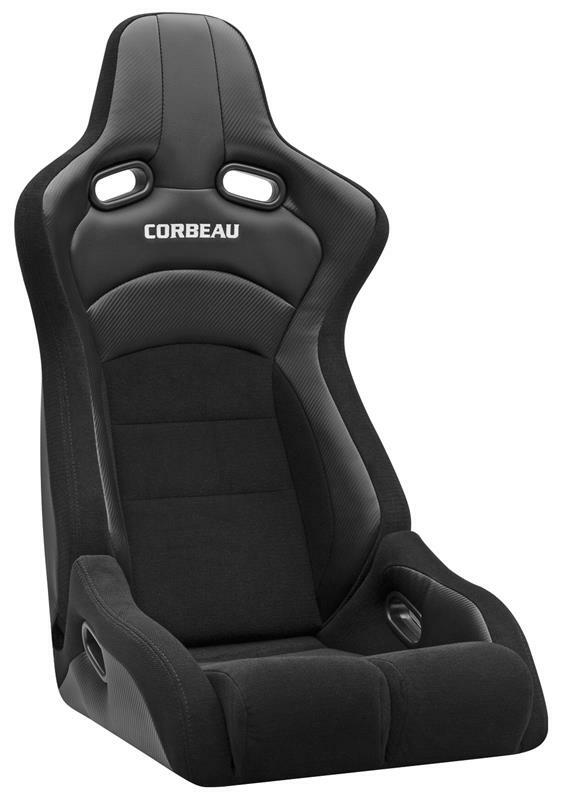 The Sportline RRB combines the brilliance that is the new Sportline series of seats with the lateral support of a Corbeau race seat. If you look at the way the thigh bolsters come into contact with the back of the seat you will see how it still gives that “bucket” look and feel that you see in a fixed back seat while not eliminating the convenience of a reclining seat. The new Sportline series from Corbeau factors in feedback from customers all over the world to come up with a look and feel that is second to none. Unbelievable comfort, style, and support are put into every inch of this seat. It features top of the line injection molded foam, strategically placed bolsters to support you in just the right places, and harness belt capability. The Sportline RRB seat is available in a black cloth with a black carbon fiber vinyl contrast. As a rule of thumb the RRB will fit up to a 38-inch waist.